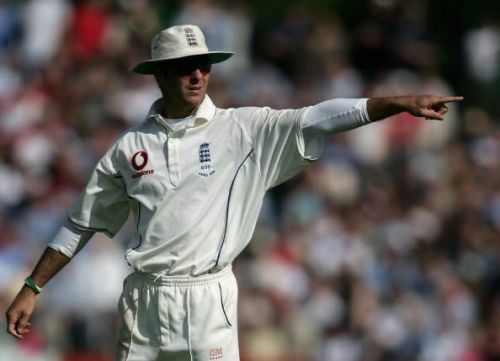 Following England's exit in the 2003 World Cup, their premier Test batsman Michael Vaughan was made the captain of the limited-overs side and since he had hardly scored much in ODI cricket, the decision looked like a gamble. A few months later, he became England's captain in all formats of the game and under him, the national team became a brilliant Test side. By 2004, they had become an excellent side and recorded 3-0 and 4-0 wins against New Zealand and the West Indies, with a 100% win record. The same season England made it to the final of the ICC Champions Trophy at home but were thwarted by the West Indies in the final. Test series wins in South Africa and West Indies followed as the four-pronged pace attack of Steve Harmison, Simon Jones, Matthew Hoggard and Andrew Flintoff wrecked havoc. The highest point of his captaincy was the 2005 Ashes win and Vaughan will forever be a legendary figure in English cricket for bringing the trophy back to England after a gap of 18 years. Injuries eventually forced him to give up the captaincy and then retire, but his appointment was one of the most inspired choices ever taken by England's selectors.